AND WE HAVE WALLS!! Well some at least. The crew last night must have thought I was a crazy person snapping pictures of half done walls and wall glue...but then again, let’s be serious, they’ve seen this before. Aren’t we all crazy during a home renovation?? We are coming up on just about two years of being out of our house for this home renovation. I cannot believe we are just now putting the walls back up. The amount of times I’ve gone from just about to lose it to being numb to the process has been unreal. Walking through the house yesterday with walls made me giddy. Until then, here’s the house starting to look like a real house again. 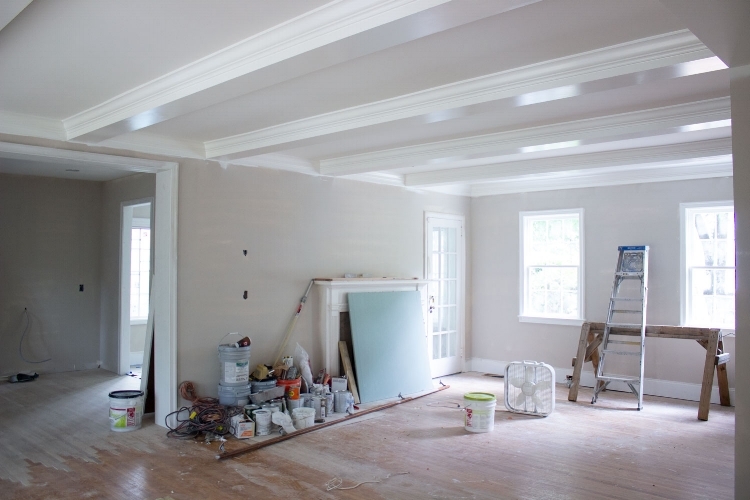 If you're catching up on our renovations - check out the home renovation tab. 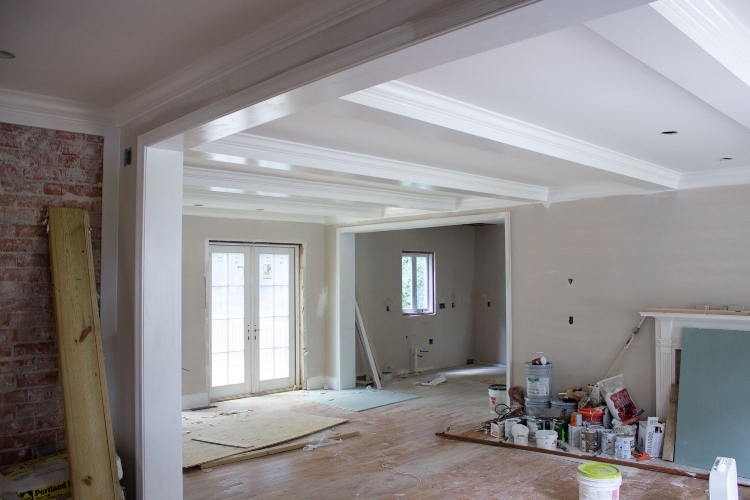 I was most surprised in this room by how much I love the ceiling beams! Our kitchen already looks bigger now that the walls are up! I cannot wait for the cabinets to get.in.this.room!! The circle window in this room is my favorite detail. It gives the room a custom touch that makes it feel like a real master. Ok, this is the show stopper for me. The original plan was not to keep the lofted ceiling and I cannot imagine if we had built a typical roof here. 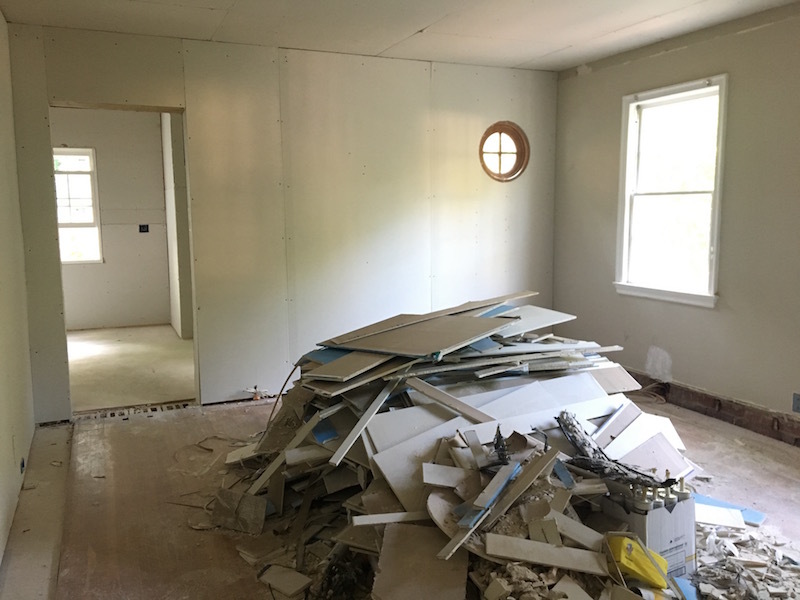 I was SO nervous for how this space was going to look once the sheetrock was in. So happy with how it's turning out! 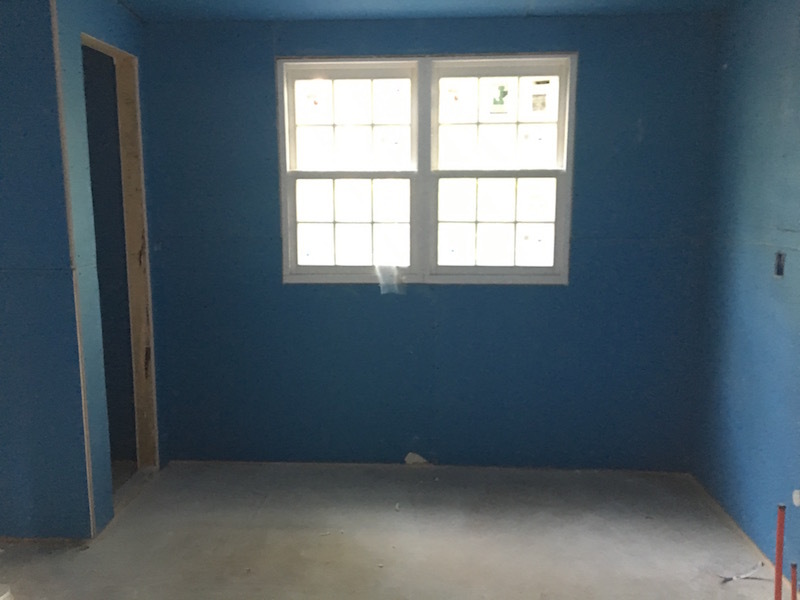 This photo is crappy, but I can picture our standalone tub right under that window. It's a room again! 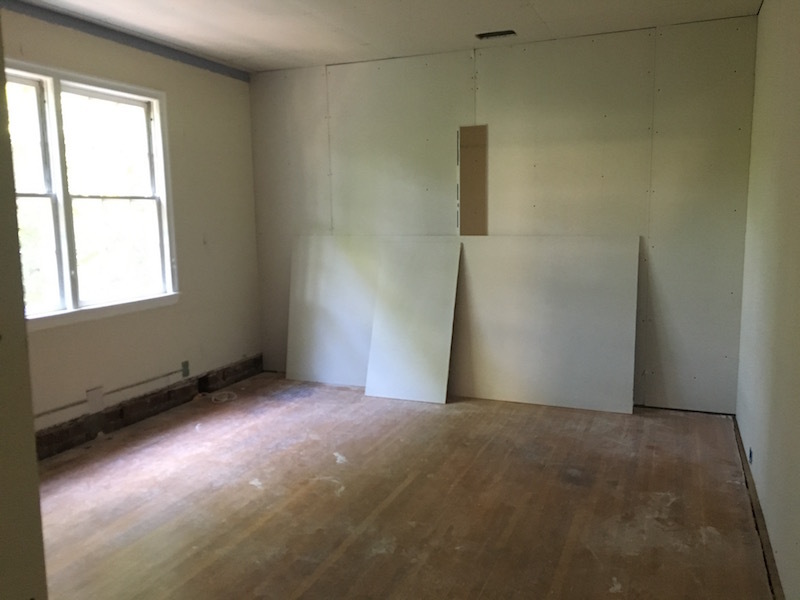 This room used to have a built in bookcase where the closet now is. I'm really glad we decided to swap out the bookshelf for a real closet to upgrade this bedroom. Last but not least, I'm still bummed we had to loose the subway tile wainscot, but this space is looking pretty good. Bring on the finishing touches!! !